Silicon Integration Initiative (Si2) is recruiting engineering students for its University Partner Network, a program that offers real-world, electronic design automation job experience. 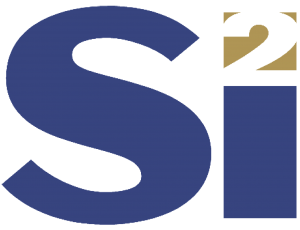 Si2 is the industry’s most experienced, federally registered research and development joint venture for the collaborative development of standard, interoperable EDA software. Marshall Tiner, director of Production Standards, who oversees the University Partner Network, said volunteer partners are vital contributors to a variety of R&D projects. Partners must be currently enrolled in an undergraduate or graduate engineering degree program. They should have some programming experience and a general understanding of semiconductor design. Sheng-En David Lin, a Phd candidate in Electrical Engineering at Washington State University, has been accepted into the Si2 University Partner Network. His work for Si2 will help validate portions of a new Power Modeling standard which is being contributed to the IEEE P2416 Working Group. This standard is aimed at system level IP blocks and will serve power data to IEEE 1801 power state models. David’s research interests include modeling for VLSI circuits and systems and algorithms for VLSI CAD automation, with current focus on physical design methodologies of multi-tier gate-level monolithic 3-D ICs. The Si2 University Partner Network connects qualified engineering student-partners to their future employers in a program that offers real-world, electronic design automation job experience. Partners strengthen their resumes and broaden their network with prospective employers, while employers identify and work with prospective employees. For more information click here.